In an acrimonious debate they said Brexit negotiations were nothing to do with the council, even though it represents over 116,000 people whose livelihoods and futures depend on getting a good outcome. And despite their local MP being a senior (uninfluential?) Cabinet minister. Those of us sitting on the side lines see unravelling chaos. The Chequers proposal being put forward by the PM has not got the full support of her MPs. 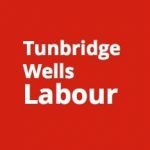 Across the country she has thousands of Tory dinosaurs at her heels – like many of those on Tunbridge Wells Council – demanding a harder Brexit. She has not got the support of most other opposition MPs or public opinion, and her proposals are opposed by 27 EU countries. It is glaringly obvious that unless there are significant changes they will not get through. We are heading for a worst possible no deal Brexit that most business leaders and economists say will be disastrous, will increase prices, and reduce our living standards. The leader of the food and drink association has warned of the dangers of a no deal Brexit to food supplies, of customs checks and queues at the ports like Dover and Calais. Parts of the car industry in the Midlands are working a short working week because of business uncertainty. Farmers are seriously worried. Those who voted for Brexit didn’t vote to be worse off, have higher food prices, or for more job insecurity – but this is what we are likely to get out of these bodged negotiations. To sort this chaos out we must make all of our voices known on the final outcome. 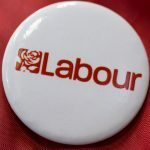 If after two years of infighting the Conservatives are failing to deliver a Brexit that works for all of us, then we should have a general election to elect a new government that can. Failing this we should have a People’s Vote on the terms of the final agreement, which should include the possibility of remaining in the European Union. For those of us who are in trade unions or professional bodies this is how negotiations work. We let the negotiators do their best to get a deal and then get the chance to say yes or no to the final offer. If we don’t like it we can say no and send the negotiators back to do better. If the EU vote was about taking back control, this means we the people taking back control. All of us should now all have the chance to say to our government ‘deal or no deal’. Many of us will be expressing the strength of our feelings by joining the mass march for a People’s Vote for the Future, in central London from noon on Saturday 20 October. 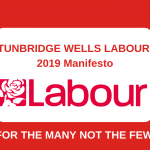 Meet at Tunbridge Wells Station at 9.30 am. Join us!